In 2011-12 the Government launched its Pupil Premium funding. This money is sent to schools based on the numbers of pupils in the school who are eligible for Free School Meals (FSM). From 2012-13, it was expanded to include all children who have been eligible for FSM within the last 6 years. This money is allocated to initiatives to ensure pupils reach their full potential, both academically and socially. In 2017-18 the school received £19,800 of Pupil Premium Funding. Children able to access the curriculum with their peers and make progress across the academic year. ​Teaching Assistant support for those children with emotional needs. This may include one to one support or small group work. All children enabled to participate in school trips and visits, including the Y6 residential visit. To aid inclusion and support the child's well-being. New uniform supplied for individuals. All children wear the school uniform. Music lessons provided for those children whose family requested them. This enabled KS2 children to participate in school music events and learn to play an instrument. Tennis lessons and kit for KS2 pupil provided. Resources in KS1 – specific resources to support the teaching of Literacy. To help children to reach their full potential in Literacy. At the end of KS1 the very great majority of PP children achieved at least national expectations in reading and writing. All PP children in Year 3 and 4 achieved at least national expectations in reading at the end of the academic year. To develop staff expertise in specific strategies and materials. 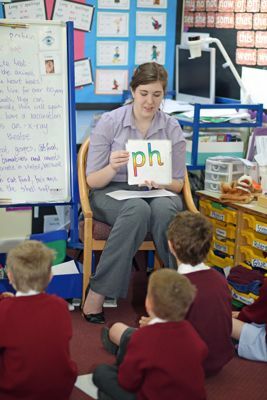 Improved staff confidence in the delivery of the Phonics curriculum. The very great majority of children pass the phonics test in Y1. Numicon used to support the teaching of Mathematics across the Key stages.